We’re rapidly approaching one of the best holidays (in my opinion): Halloween! As a kid, I loved this day. It was, after all, the one time of the year middle-school-age-Sarah could dress up like a bat and no one could say anything about it. Halloween is universally adored by all kids – including those in your dojo! Why not take advantage of that to give them an extra-special martial arts Halloween? 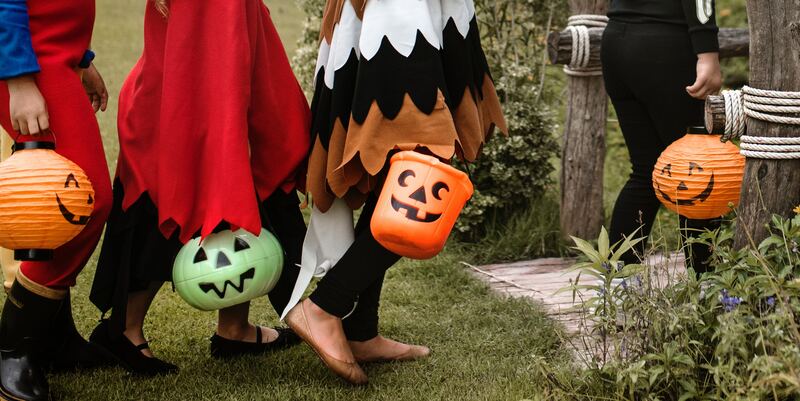 Depending on what you choose to do, you can turn Halloween into a revenue-boosting event for your school, or just a great way to have some fun with your students. 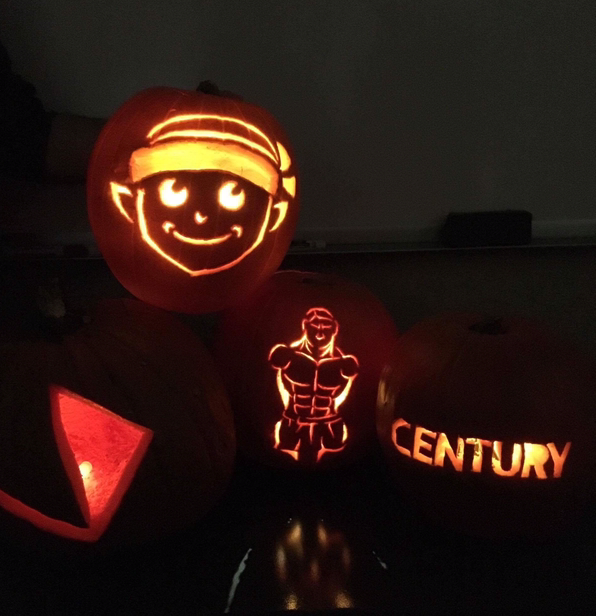 Just some Century-themed pumpkins the team carved last year (mine is the Nigel one)! One of the best parts of Halloween is getting to dress up. Usually, kids are so excited for this that they’ll want to wear their costume EVERYWHERE. The more opportunities they get to do so, the better. Promote a Costume Day at your school where kids are allowed train in costume – and make sure you dress up yourself! It’ll be a memorable day, and your attendance in that class will be through the roof! Make sure that when you tell your students about Costume Day, you outline reasonable restrictions: no masks, no face-paint (this is mostly for grappling arts, where the paint will get smeared on other students), no scarves/long pieces of cloth that could get wrapped around someone, shorts must be worn under dresses/skirts, no costumes that pose a tripping hazard, etc. If you’re skeptical of the costume idea, you can always have a Halloween T-Shirt Day or Orange-and-Black Day. Another great thing about this idea? You can use it by itself, or combine it with any of the other ideas listed below! Parents will love this idea! While most of them already plan on coaching their kids on Halloween safety, they’ll appreciate it coming from another, non-parental authority figure. Kids, too, may take safety tips to heart better if they come from a “cool” adult like their martial arts instructor! You can find any number of safety tip lists online. Tailor your lessons to your students’ age group so they’ll retain the most information. You can also play games to reinforce certain points (Blog Tag to represent the importance of sticking with a buddy, for example, or Simon Says to emphasize the importance of listening to their parents’ instructions while out trick-or-treating). At the end, ask them questions about their Halloween safety strategies, and make them verbally promise to trick-or-treat safely. Then, hand out martial arts-themed LED wristbands or reflective stickers/tape for them to wear or attach to their bags. Children are four times more likely to be struck by a vehicle on Halloween as they are any other day of the year -- make sure your students stay safe! You can change the timing and duration of this event to best fit your school’s schedule. For example, you can simply announce (in advance) that the last 15-20 minutes of class on a certain day before Halloween will consist of a Safety Seminar. Or, you can set the seminar for immediately after one of your classes, so non-students have a chance to attend. Cost: A wristband is approximately $7. Reflective tape prices seem to vary, with some rolls of tape as low as $5 and some around $30. Keep in mind, you may need to buy multiple rolls. Let's be honest; it's every kid's dream to learn martial arts from a ninja. This can be a great revenue booster, or simply a fun change-up to your regular class. Announce that, because of Halloween, you’re going to have a special guest instructor – a ninja! (Do ninjas actually have anything to do with Halloween? Maybe not, but hey, kids love ninjas; kids love Halloween; a costume will be involved; what else matters?). Make sure to play this special class up (make sure your students know to bring friends!) and really get your class buzzing. Next, get the Ninja Uniform from Century Martial Arts. From here, you have several options: if you know of someone nearby who can teach a guest class, invite them and have them wear the uniform. 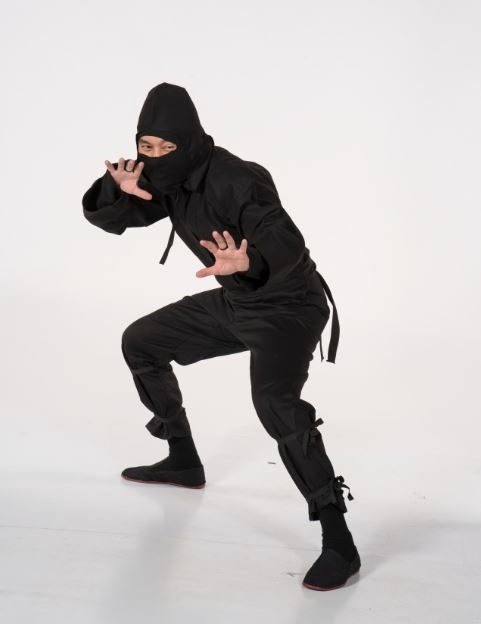 If your Ninja is someone the students won’t know, they can keep their identity concealed behind the mask for the duration of the class, and never reveal their identity. If you hire a well-known martial artist as your Ninja, they can reveal their identity at the end of the class for a fun surprise. Or, you can simply wear the costume yourself – just be sure that you pump the class full of ninja-related games and special activities. The goal is to have an event, not just teach a normal class in a costume. Cost: The fee for the guest instructor (potentially $0), plus $60* for a Ninja Uniform. However, you’ll be able to use the costume more than once. With just a little creativity, you can get a whole lot of mileage out of a ninja outfit (wear it to special events/demos, use it for photo ops, work it into other special events at your school, wear it for fun because it’s comfortable…etc.). Whether or not your school normally offers a weapons program, your students will jump at the chance to learn how to use one of the most popular martial arts weapons of all time! Because this is a special seminar, not a regular class, that will require your students to purchase Glo-Chucks from you in order to participate, so you’ll want to hold it before or after regular classes, or on a weekend. The seminar should be at least an hour long. At the end, turn off the lights, have everyone crack their Glo-Chucks to activate them, and put on a show for your students’ families! Why is this Halloween-related? Because after the seminar, you’ll give each student a refill for their Glo-Chucks to carry with them trick-or-treating (NOT to hit anyone with!). By now, they’ll think nunchaku are the coolest things ever, and they’ll be happy to add glow-in-the-dark nunchaku to their Halloween costume. It helps improve safety and visibility in a fun and easy way. If you’re thinking, “Wait – I’ve never taught nunchaku before; I can’t do this,” you’re wrong! Check out this Glo-Chuck Seminar Tutorial from Martial Arts Industry Association (MAIA) Executive Director Frank Silverman! He delivers a step-by-step breakdown on exactly how to hold this event! The video below features a performer who's obviously had more than one seminar's worth of training -- still, this would be a great clip to show your kids to get them excited and give them a taste of what they have to look forward to! Cost: You’ll need a pair of Glo-Chucks* ($36) plus a refill* ($8) for every child. Again, this is an event that you can – and should be – charging for. This idea is better for a weekend than a class, since it can involve your entire school area and should last at least several hours. Black out your windows, turn off the lights and light your school with red or green lights. Hang apples, mini-donuts, or other food on string from the ceiling for a more *sanitary* version of bobbing for apples. Have an arts-and-crafts table for pumpkin painting, making ghosts (easiest way to do this? Have white paper plates for drawing faces, cheesecloth to drape over them for the ‘body,’ and string to hang them up. Boom, done! ), or decorating trick-or-treat bags. Have snacks like popcorn, cookies, candy, sliced fruit and veggies. Cost: It depends on how many ideas you use, and how many of the materials you already have. This will be one of the more expensive events to hold; however, you can charge for admittance. You can sell tickets in advance during the week, or at the door, or both. I recommend charging a lower price for advance purchases and slightly more at the door. 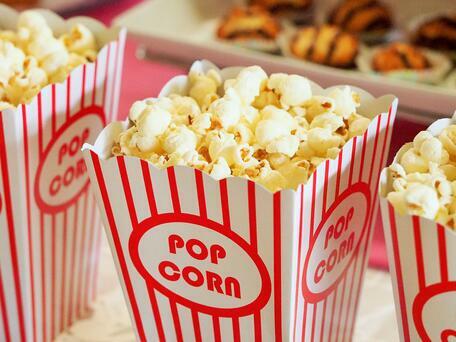 Can't have a movie without popcorn! This can be an overnight event (a lock-in) if you have the staff, insurance, room and patience for it. Alternately, you can just have a movie night that runs for a set time in the evening. Depending on the age of your students, you can hold anything between a two- to five-hour event. For example, you could have parents drop their children off at your school at six. The first hour could be a martial arts class, followed by another half-hour of games or activities. At 7:30, you can serve pizza and snacks, and begin watching a kid-friendly Halloween movie at eight. Afterwards, you can play more games until parents arrive to pick their children up at ten. Another weekend-night event, this one is perfect for parents who have recently been busy with kid-related activities (shopping for costumes, buying candy, decorating, driving kids to Halloween parties, taking them trick-or-treating, etc.). Halloween falls on a Wednesday this year, so you can hold it the weekend before or after – trust me, your students will be more than happy to stretch the holiday as far as possible. Cost: The expense of pizza (this will vary based on the number and age of students you have at your event), snacks, possibly paying employees overtime, and, if you don’t already have one, renting a projector to display the movie. However, it’s reasonable to charge upwards $30 per attendee, given all that you’re offering. No matter which of these ideas you use (or whether you use a totally different idea altogether) make sure you do one thing: let your students know to invite friends! Not only will this make the event more fun for them, it’s an opportunity for you to show off what an amazing place your school is. Make sure you enter it at check-out. Click code now to start shopping!